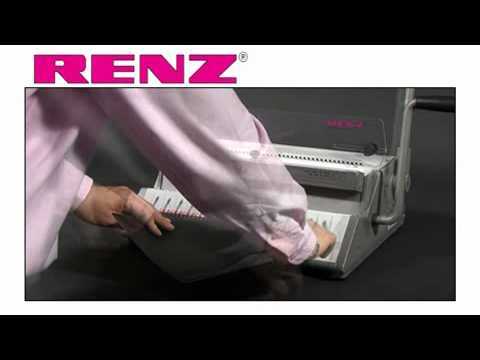 The RENZ RW360 is a compact entry level model for manual punching and binding all formats up to A4. Very simple operation thanks to the ergonomic two-lever system and the integrated wire holder. The RW 360 is a combined manually operated punch and closing machine for RENZ RING WIRE® wire comb binding in 3:1 pitch, with a punch capacity of 22 sheets (80gsm) and a binding capacity of 135 sheets (80gsm).